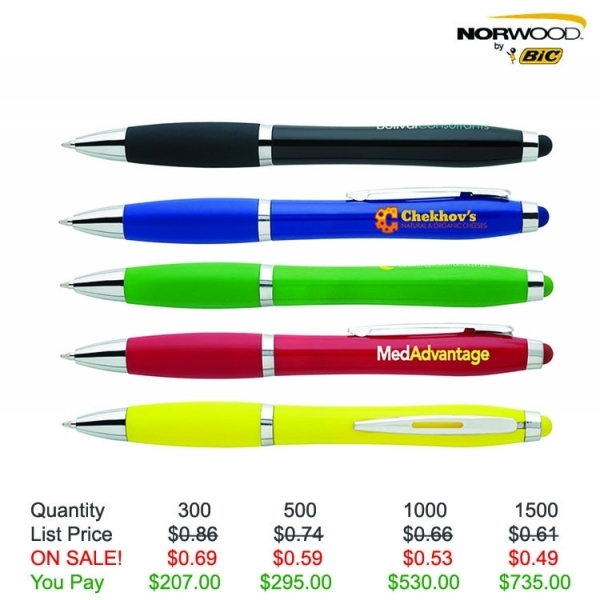 You'll take "charge" of your campaign's success with the Ion bright stylus pen! 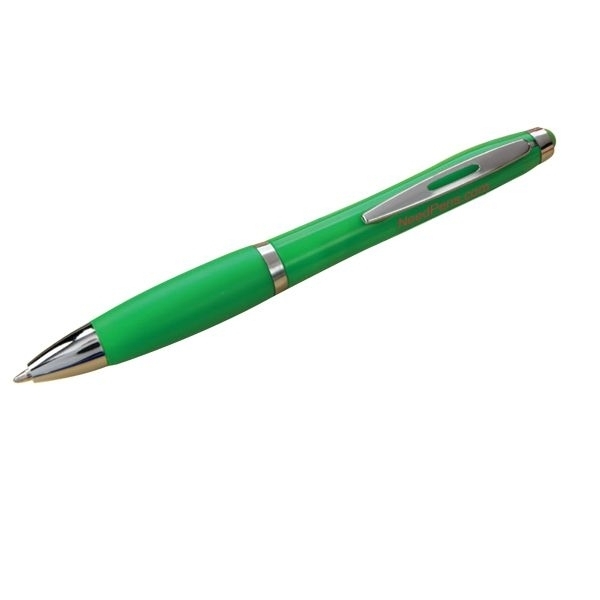 Always a good value, this twist-action, retractable pen has a built-in, soft-touch stylus and black ink with a medium point. These pens come with Free Setup, Free Artwork and Free Shipping! Item Size: 5-1/4"l x 1/2" dia. 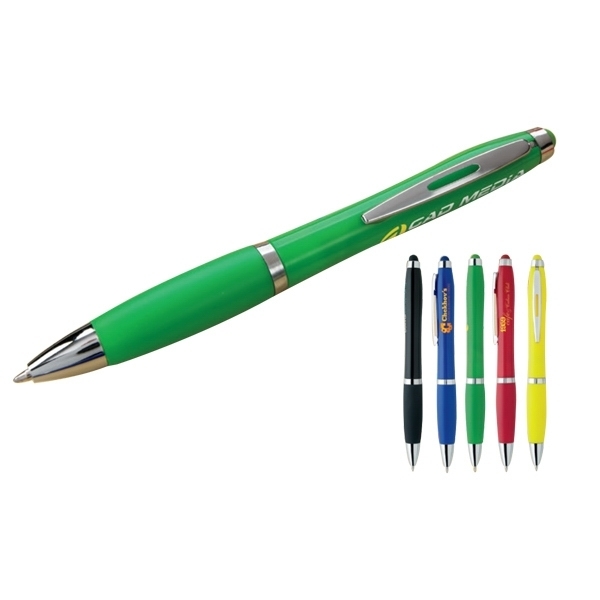 Item Color: Black, Blue, Green, Red, Yellow.